Pandemic Legacy: Season 2 has finally arrived in either a yellow box or a black box! Regardless of box color, it's the same game on the inside. Pandemic Legacy: Season 2 is a stand-alone unique cooperative game for 2 - 4 players and follow-up to Pandemic Legacy: Season 1. Calling all librarians and avid book readers, Ex Libris a new game from Renegade Games, is the game for you. This game has colorful and clever artwork and book titles. 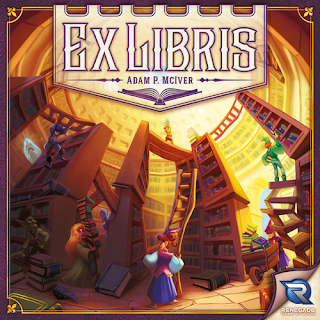 In Ex Libris, you are collecting rare and valuable books in hopes that the Mayor will appoint you as the village's Grand Librarian. Unfortunately, several of your colleagues are competing for this title as well. 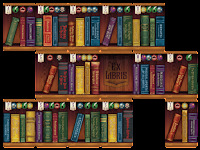 For the most impressive library you will work with your assistants to seek out a variety of impressive tomes insuring that they are not on the banned list. These prominent works will be placed alphabetically on stable shelves. Shrewd planning, cunning tactics, and perhaps a little magic is what it'll take to reach your goal. Clank! In Space! is a sequel to Clank! 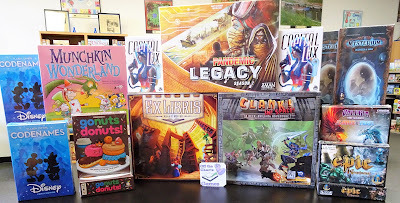 the deck-building adventure games by Renegade Games. 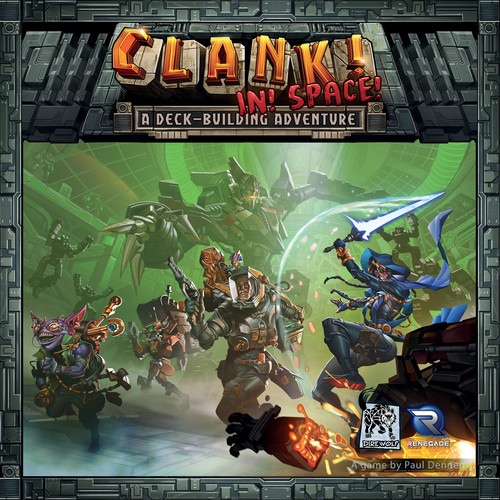 Watch this Dice Tower overview video to learn more about Clank! In Space! 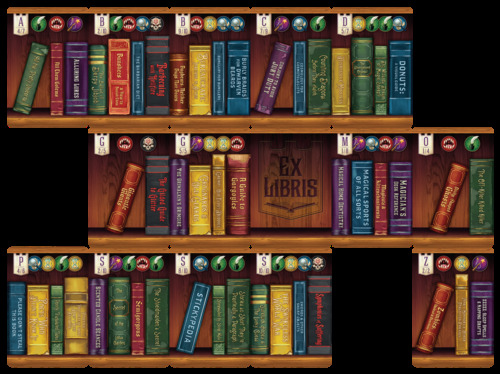 Capital Lux is a tactical set collection card game from Aporta Games. The object of the game is to collect sets of different color cards in your play area (hometown) where each color type has the highest total value without that total exceeding the total value of that color type in the central area (city). Each color type has a specific ability when played to the city: gain a coin, draw and place a secret modifier card, draw and add a card to your hand, and move the lowest value card from the city to your hometown. Knowing when to play to the city versus playing to your hometown is the key. At the end of the round each player tallies each of their color sets and compares it to the tallied value (adjusted for any modifiers) it's respective color set in the city. The player with with the highest value within the limit receives the highest numbered card of that color from the city as end game victory points. Any hometown color sets that exceeds the limit are forfeited. Everyone else keeps their sets and begins a new round. At the end of the game the player with the most points wins. 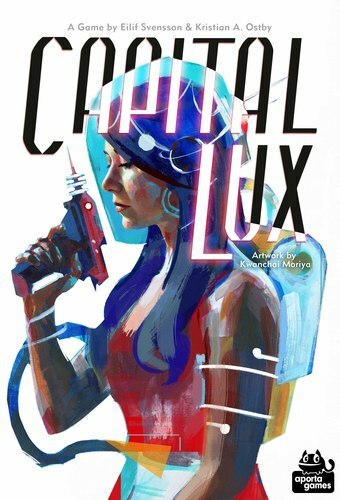 Watch Zee Garcia's video to learn how to play Capital Lux. 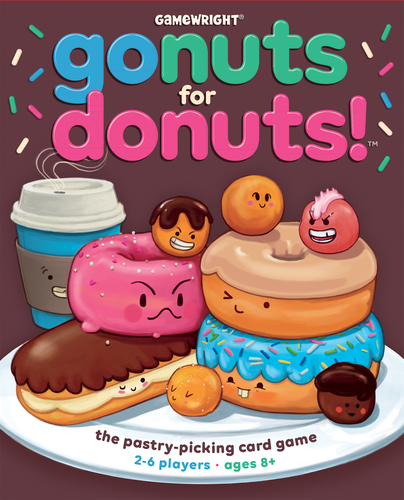 New from Gamewright Games is Go Nuts For Donuts, a fst paced pastry-picking card game. 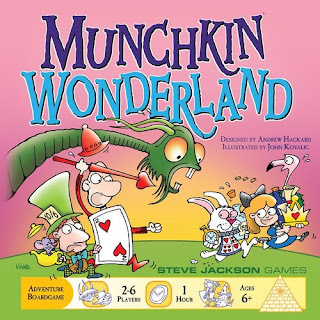 Adding to our selection of kids games is Munchkin Wonderland, an adventure board game for ages 6+. 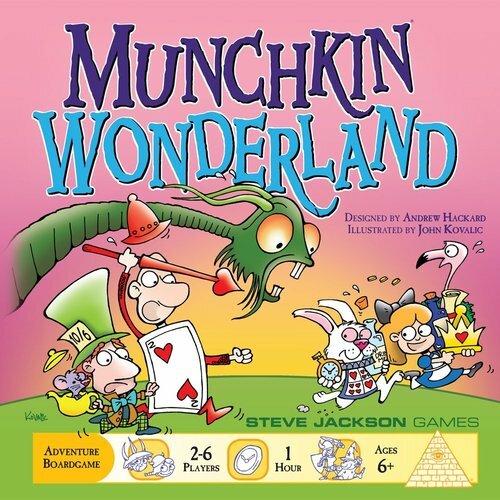 It's Lewis Carroll's Wonderland with a little Munchkin thrown in. Roll the dice and move around the illustrated game board. You'll fight enemies such as The Cheshire Cat or the Jabberwock. 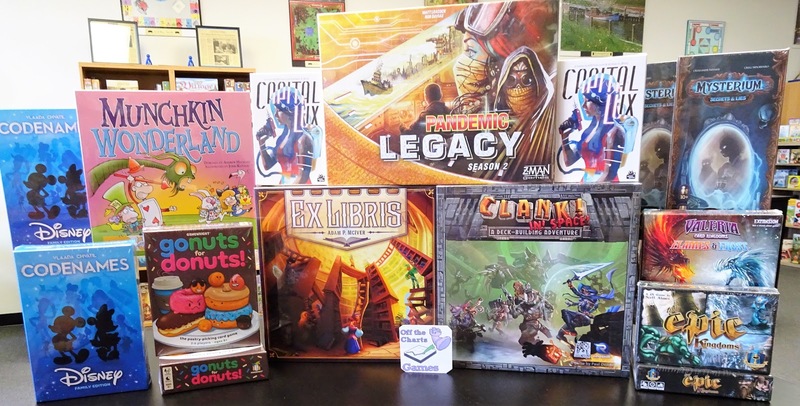 With the help of Alice, the Dormouse, and other characters that you gain through Treasure cards and a lucky dice roll you'll defeat these enemies. Other players can assist you in your fight so you'll want to share the treasure. When the deck of Treasure cards runs out, whoever has the most loot wins! Flames & Frost is an expansion to the base game Valeria Card Kingdoms, a fast-paced card and dice game where players will recruit powerful citizens, slay vile monsters, and expand their domains. 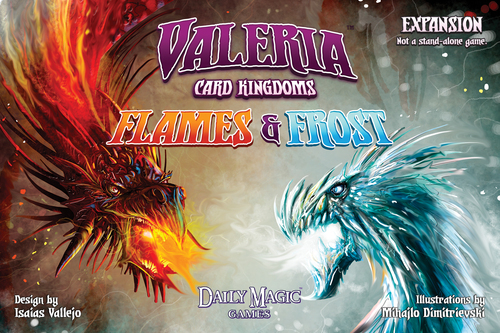 The Flames & Frost expansion adds new citizens, monsters, domains, and dukes.